Acupuncture is a system of healing which has been practiced in China and other Eastern countries for thousands of years. Its focus is on improving the overall well being of the patient, rather than the isolated treatment of specific symptoms. According to traditional Chinese philosophy, our health is dependent on the body's motivating energy - known as Qi - moving in a smooth and balanced way through a series of meridians (channels) beneath the skin. If that energy cannot flow smoothly through the body blockages can occur which can cause pain, impaired function of a body part and may stop the body repairing itself properly. I have learnt Traditional Chinese Medicine whereby our natural energy is called Qi and can be influenced by the insertion of fine needles (about the width of a human hair). Our Qi can be warmed or cooled and can be increased or decreased. The flow of our Qi is what keeps us in either good/bad health and it is felt if our Qi is stuck, deficient, too hot, too cold, that we experience ill-health. When I follow these theories and principals in my clinic, my client's health improves. On a daily basis, I receive verbal feedback and physical evidence that Acupuncture has made a difference. Successfully treating a client is based on the outcomes of what my clients consider the most important and by using western measurement protocols. From the western perspective, it is generally accepted that Acupuncture releases opioid peptides into the body and more research is being undertake to prove the efficacy of Acupuncture. 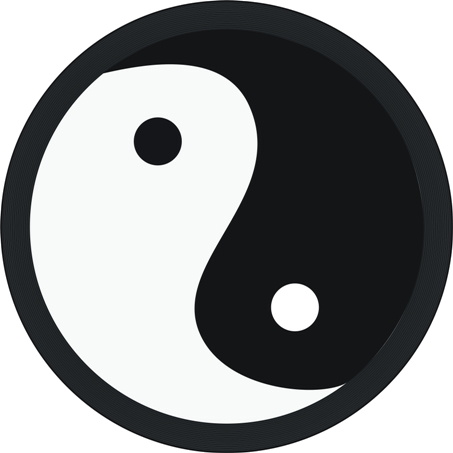 There is much controversy surrounding Acupuncture as Qi and the meridians that Qi flows in, cannot be seen under a microscope - (therefore does it exist?). Many studies have proved its efficacy, some have not and some have not reached a conclusion. Whilst western science tries to find concrete evidence for the neuron, there are countless people who are experiencing substantial, measurable and real results from Acupuncture. More and more GP's may not know how Acupuncture works, but are recommending Acupuncture to their patients. You do not need to believe in Acupuncture for it to work. Acupuncture is a entire system of medicine and like any system of medicine it has some conditions it is most effective for and others it does not treat so well. If you have a specific complaint you would like to find out about please call me to discuss your concerns. I offer a free 15 minute consultation in person or over the phone. The first time you attend the clinic you will need to have a detailed new patient evaluation. We need to assess your general state of health, in order to identify the underlying pattern of disharmony and give you the most effective treatment. This can last from between 30mins to an hour depending on how much you have to talk about! To discover how the energies are flowing in your body, the acupuncturist is likely to feel your pulses on both wrists, noting their quality, rhythm and strength. The structure, colour and coating of your tongue also gives a good guide to your physical health. Once enough information has been gathered the acupuncturist can select the most appropriate treatment. The aim is to discover which energy channels need adjusting for your specific complaint to improve, and which require treatment to boost your overall energy and vitality. Your first treatment will follow directly after your detailed evaluation. Loose, comfortable clothing should be worn, and you should be aware that the acupuncturist may need to access points on your torso as well as on your arms and legs. Stimulation of specific areas on or beneath the skin is undertaken. However, those areas may not be close to the part of the body where the problem is experienced. For example, although you may suffer from nausea, needles may be inserted in your foot or hand. There are around 360 such acupuncture points on the body, and a properly trained and experienced acupuncturist will use a selection of perhaps ten or twelve of these for each treatment. It is quite usual that, during a course of treatment, different points will be selected as the patients condition changes. The acupuncturist may supplement the needle treatment with Moxa, a smouldering herb which is used to warm acupuncture points to encourage the body's energy to flow smoothly. Other methods of stimulating acupuncture points include using lasers or Electro Acupuncture. Massage, or tapping with a rounded probe, are techniques particularly suitable for small children or for people with a fear of needles. All needles that are used to treat you will be sterile acupuncture needles designed for single use and will be disposed of immediately after treatment. Other Techniques your Acupuncturist may use include Cupping which is placing glass or bamboo cups on the skin and creating a vacuum over the acupuncture point to stimulate it. You should allow up to an hour and a half for the first session. Subsequent sessions will last 45 minutes which includes time to talk about your current health problems and how they affect your life, plus treatment and relaxation time. Pretty much anyone regardless of age. I have treated babies as young as 3 days old, Children of all ages and adults right up to 90+ years of age. It is even save to use whilst pregnant. The only real contraindications for acupuncture treatment are those with haemophilia or blood clotting disorders for the obvious reason that the skin is pierced whilst treating. It is worth pointing out that even people in this category can certainly benefit from acupressure.